John Grisham is the author of Skipping Christmas, The Summons, A Painted House, The Brethren, The Testament, The Street Lawyer, The Partner, The Runaway Jury, The Rainmaker, The Chamber, The Client, The Pelican Brief, The Firm, and A Time to Kill. He lives with his family in Mississippi and Virginia. What were your initial impressions of Ron Williamson? How did your attitudes toward him shift throughout The Innocent Man? Discuss the setting of Ada, Oklahoma, as if it were one of the characters in the book. What were your opinions as Grisham described Ada's landscape–a vibrant small town dotted with relics of a long-gone oil boom–and the region's history of Wild West justice? In your opinion, why was Glen Gore overlooked as a suspect? Were mistakes made as a result of media pressure to find justice for Debbie Carter and her family? How did Dennis Fritz's knowledge of the drug scandal affect the manhunt? Was injustice in Ada simply due to arrogance? How was Dennis different from Ron? Why didn't Dennis confess, while Tommy Ward and Karl Fotenot did? Did refusing to confess help Dennis in the long run? As you read about the court proceedings, what reactions did you have to the trial-by-jury process? Have you served on a jury, or been a defendant before a jury? If so, how did your experience compare to the one described in The Innocent Man? What are the most significant factors in getting a fair trial, or an intelligent investigation? Does personality matter more than logic in our judicial system? How would you have voted if you had heard the cases against Ron and Dennis? How does new crime-lab technology make you feel about the history of convictions in America? What might future generations use to replace lie-detector tests or fingerprint databases? What are the limitations of technology in solving crimes? How did the early 1980s time period affect the way Debbie's last day unfolded, and the way her killer was hunted? Would a small-town woman be less likely to trust a Glen Gore today than twenty-five years ago? Were Ron's high-rolling days in Tulsa spurred by a culture of experimentation and excess? How did the descriptions of Oklahoma's death row compare to what you had previously believed? What distinctions in treatment should be made between death-row inmates and the rest of the prison population? What is the status of the death penalty in the state where you live? 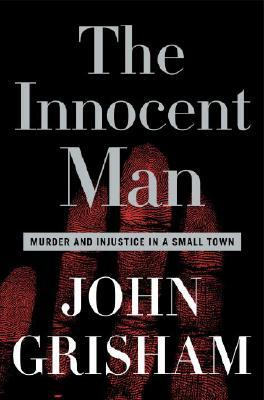 What have you discovered about the death penalty as a result of reading The Innocent Man? In his author's note, Grisham says that he discovered the Ada saga while reading Ron's obituary. What research did he draw on in creating a portrait of this man he never knew? In what ways does The Innocent Man read like a novel? What elements keep the storytelling realistic? Discuss the aftermath of Ron's and Dennis's exoneration. How did you balance your reaction to the triumph of Ron's large cash settlement (a rare victory in such civil suits) and the fact that it would have to be paid for by local taxpayers? The Dreams of Ada (back in print from Broadway Books) figures prominently in Ron's experience, though the men convicted in that murder are still behind bars. What is the role of journalists in ensuring public safety? Why are they sometimes able to uncover truths that law enforcement officials don't see? Grisham is an avid baseball fan. How did his descriptions of Ron playing baseball serve as a metaphor for Ron's rise and fall, and his release? To what extent do you believe mental health should be a factor in determining someone's competence to stand trial, or in determining guilt or innocence? In his author's note, Grisham writes, "Ada is a nice town, and the obvious question is: When will the good guys clean house?" What are the implications of this question for communities far beyond Ada? What can you do to help "clean house" in America's judicial system?